– Add a tab “Quick”: Quick chat in War, moved shortcut hero (F1), pause the game. 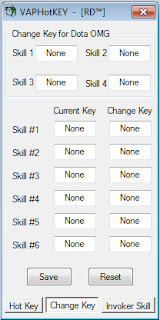 – Support received ALT / CTRL / SHIFT / WIN + “key” (except tab hotkey). 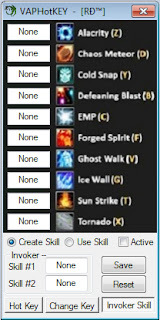 For example: Alt-Z to call skills Alacrity (Z) of the Invoker, Ctrl-1 to quick messages 1.